Most people don’t realize that there is a local Social Security office where they can go to apply for their Medicare Insurance. Did you also know you can apply online? 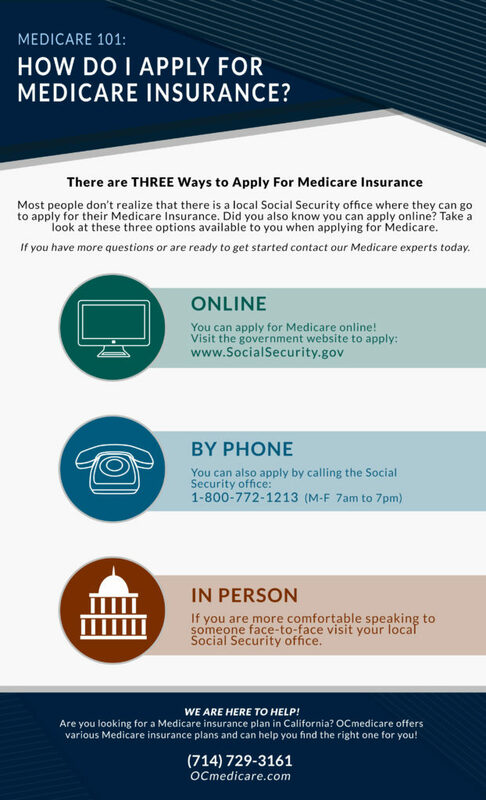 Take a look at these three options available to you when applying for Medicare. If you have more questions or are ready to get started contact our Medicare experts today.